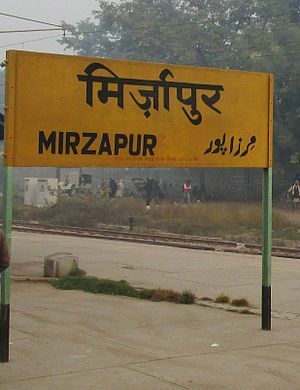 Lucknow, 13 Nov 2018 [Fik/News Sources]: After Allahabad and Faizabad BJP local leaders and other Hindutva organisations have intensified the demand to change the name of Mirzapur. BJP leader Ratnakar Mishra has demanded to change the name of the district to Vindhya Dham. He has written several letters to chief minister Yogi Adityanath in this connection. The demand is decades old. Keeping in view the demand Kalyan Singh had changed the name of the circle from Mirzapur to Vindhyachal Mandal. Change of name of the district was demanded then also. The central government has changed the names of at least 25 cities and districts during the past one year. The latest examples are Mughal Sarai, Allahabad and Faizabad.